So it’s been awhile since I’ve posted a DIY item. I know, I know; I am slacking. 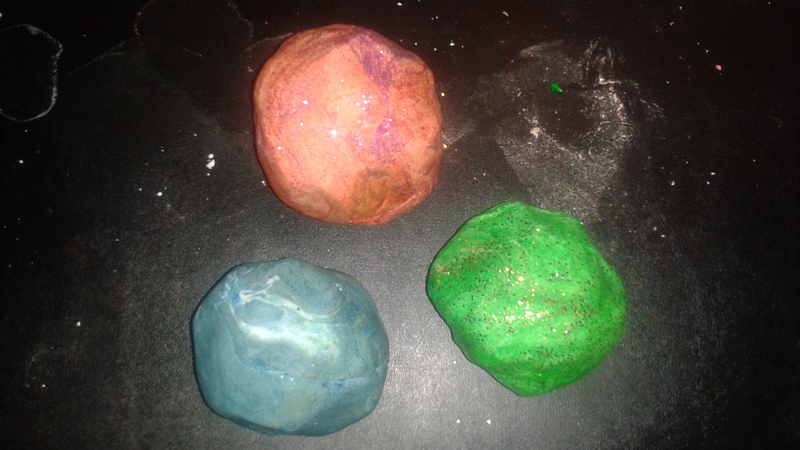 So, to make up for my lack of staying on task, over the next few days I will be sharing a few crafts I’ve done with the children over vacation. 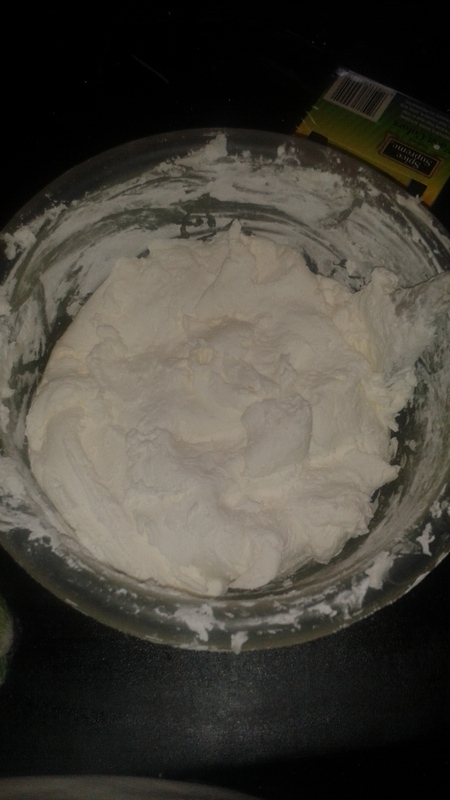 Today’s craft is making soft playdoh. Now, follow a page on Facebook called Quirky Mommas. They always have fun things that I like trying out with the kids, and that is where I got this idea from. See their post from Kid’s Activities here. Yup. Literally all you need. This couldn’t get any simpler if I tried. 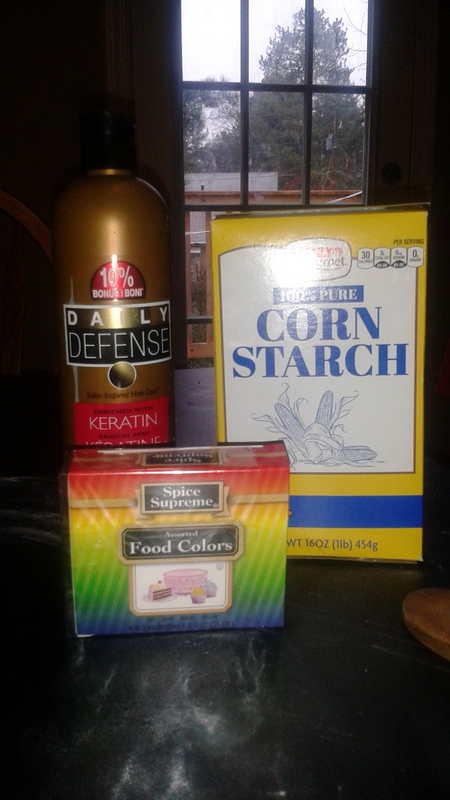 So the recipe on QM’s page calls for 2 parts cornstarch 1 part hair conditioner. Yea, whatever that means lol. 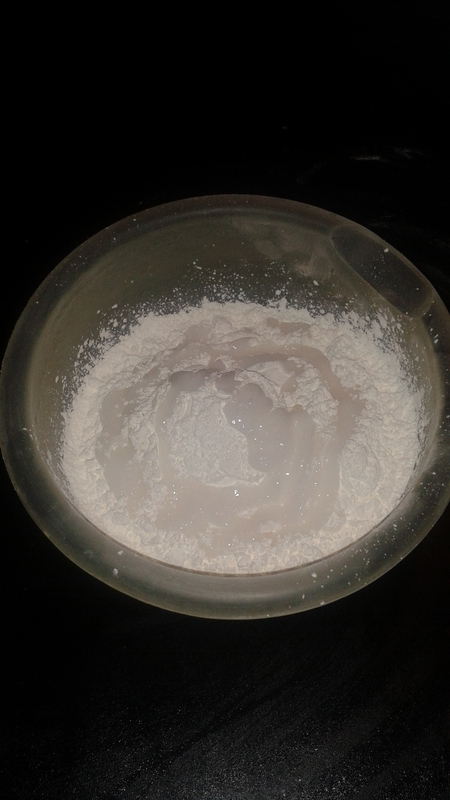 I just dumped the cornstarch in the bowl and poured in the conditioner a little at a time until it had become the consistency that was needed to create the playdoh effect. 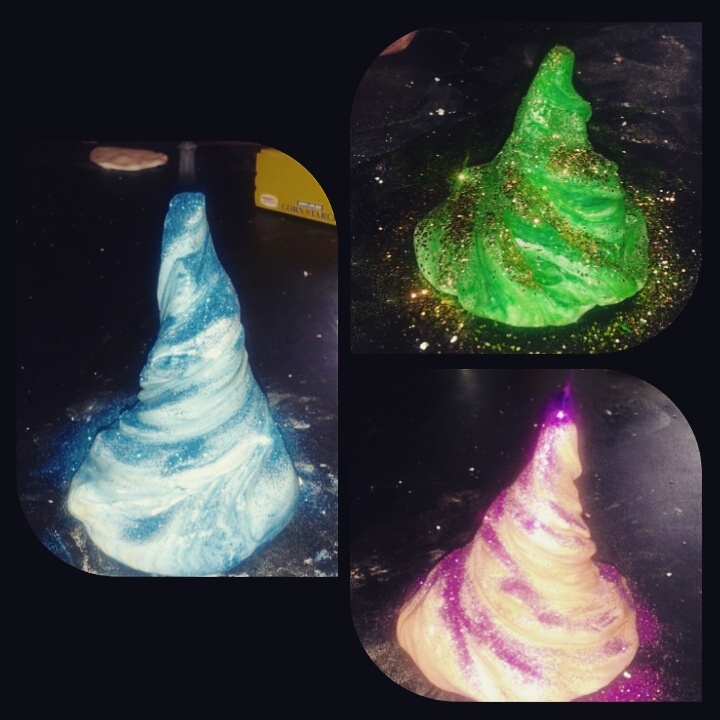 The end result was some pretty festive playdoh that I can make things with the kids at a later date. The only thing that sucked about this is that my daughter is still in CT & wasn’t able to participate. The upside to that is once she’s back I can totally do this again. 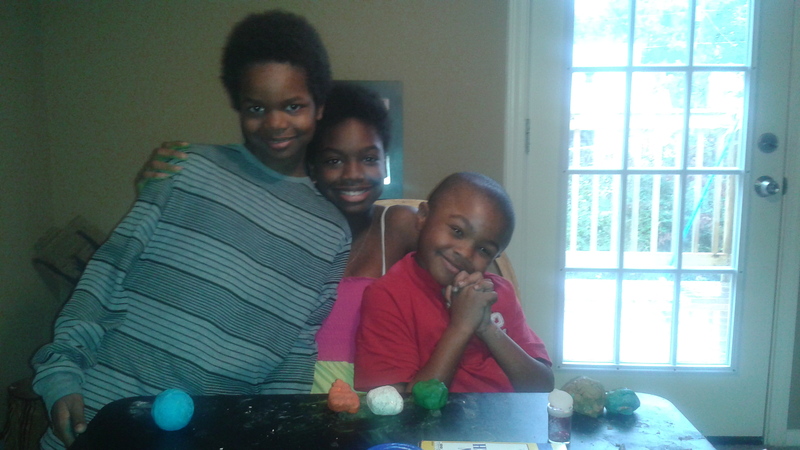 I probably had just as much fun as my son and his cousins did if not more. Also, be sure to check out my niece’s blog Life Through the Eyes Jahkaya G. She is very much into making things and all sorts of crafts and she’s pretty dope at it. Lol! Yes you do & Toots will love it & you will too & it will be so awesome!